After 5-1/2 years, Mixed in America: Little Mixed Sunshine if FINALLY finished. Here’s part 1 of a 2-part finale of the mini-series where we’ve followed the film’s progress. Practical lessons on finding the time to pursue passion projects which might not yet pay the bills. Plus, a literal “road to Damascus” experience. Today’s episode is a must-listen episode for anyone out there who has procrastinated or dragged their heels on getting a project done. An update on my documentary “Mixed in America”. Every artist deals with it in their career—the difference between what they envision, and what they actually create. How to deal? If you’ve ever had a desire to start (or finish) that passion project, THIS is the episode for you. Today I tell the story of how 4 unlikely partners, 3 hip-hop artists, 2 epic failures and 1 ulcer lead to me becoming a filmmaker. 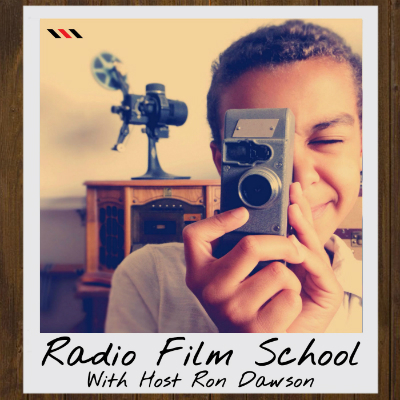 The Radio Film School segment wherein host Ron Dawson tracks the progress of his documentary short film series "Mixed in America", episode 1, "Little Mixed Sunshine."